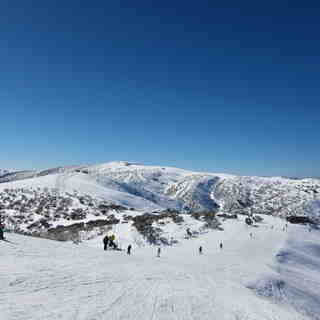 Mount Hotham has a justified reputation for good snow. With an airport just 20 minutes drive from the resort it is the most accessible of the Australian resorts. There are about 10 flights a week from Sydney, at present. 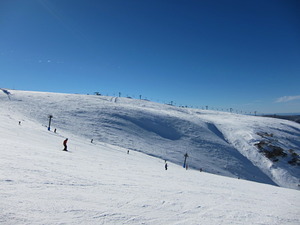 13 lifts serve a wide variety of runs at Mount Hotham that should keep most happy, from the long cruisers at 2.5 km, to shorter but steeper terrain for advanced skiers. 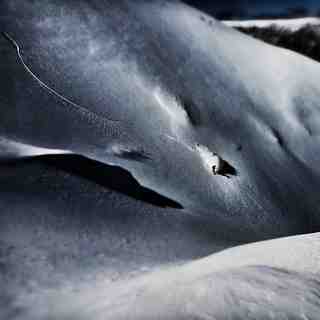 One interesting point to note is that Mount Hotham resort is topsy turvy! The car park is at the top and the slopes lead off below it. So, the last run of the day will be on a lift, try doing the same in the Alps! Even better is the free snow cat tow service into the backcountry! 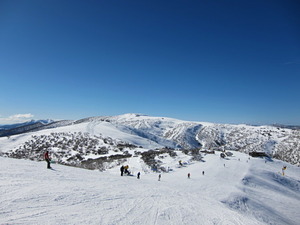 You may also pay about one hundred AUS dollars to get a chopper ride to Falls creek resort to access the 18 lifts. 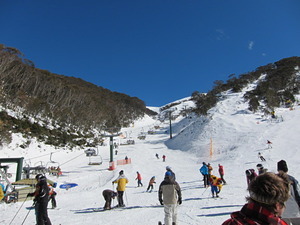 However, it is understood that Falls Creek can be accessed by car during the winter. Mount Hotham village has a wide range of accommodation and some bars and restaurants in which to recover from the day on the slopes. 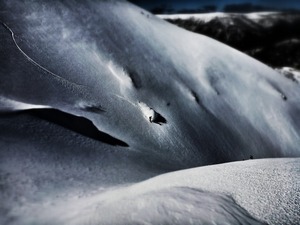 Lesen Sie 14 andere Beurteilungen ueber Mount Hotham oder geben Sie Ihre eigene Bewertung ab.